NDA 2 Result 2018 : With the hope that you had tried your best to qualify the NDA Exam we are here with the step by step procedure to check and download your UPSC NDA 2 Result. Latest Update: NDA 2 Result 2018 will be released Soon. Stay Connected. 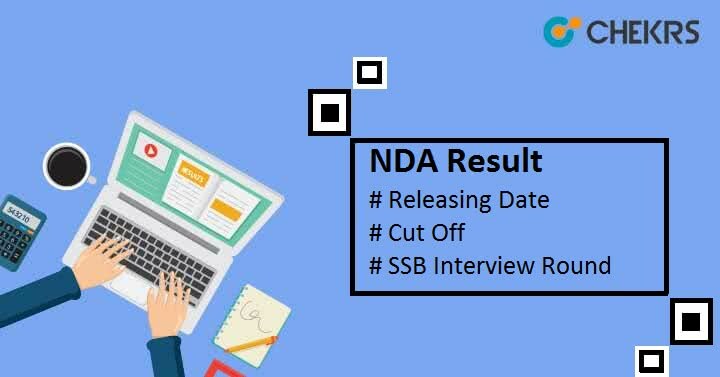 NDA 2 2018 result is expected to be released In this article we will share information about NDA (2) Result Releasing Date, and further events of NDA Examination. NDA 2 Exams have been finished and next events are as follows. We are also providing expected daytes here so you will be prepared for the events. Candidate can check their NDA 2 Result 2018 by going through these steps. Find and Click on the “NDA and NA 2 Result 2018” link, Which will be located at the right side of the home page under ‘What’s -New’ section. A New PDF will be opened. Now press Ctrl + F and type your roll number, because the NDA 2 Result 2018 PDF file will only contain the list of roll numbers of all selected candidates for SSB interview. If you are selected then congratulations, make sure to Download and take a printout of the result. After the Written Test NDA 2 Result 2018 Declaration, All the qualified candidates have to Register themselves within 2 weeks on the Indian Army Recruiting website. It is an Online and easy process. After Succefully doing this, Candidates will get allotted selection centers and dates of SSB Interview round. In this time period candidates have to regularly check their email ID because authority will communicate with them through mails. In this process all the candidates have to submit their original certificate which will be basically age proof Certificate or mark sheet and education qualification Certificates. After it, the main SSB interview Round for a maximum 900 marks will be Organized, The Complete procedure is a combination of two rounds. PP – DT and OIR Round: Which is basically Picture Perception & Description Test and Officer Intelligence Rating (OIR). After the first one, Candidates have to appear for Group Testing Officer Tasks, Psychology Tests, Interview and Conference rounds. Candidates have to Obtain more than the cut Off Marks to successfully qualify the examination. The Cut-off Score has not been announced yet but you can guess the range of Cut Off Marks for this year by going through the Previous Year Cut Off Table. Going by previous Years Cut Off Record , we think NDA 2 Cut Off 2018 Marks should go to around 250–300. Hence we would say that 300+ would be a secure score to get call for SSB Interview.